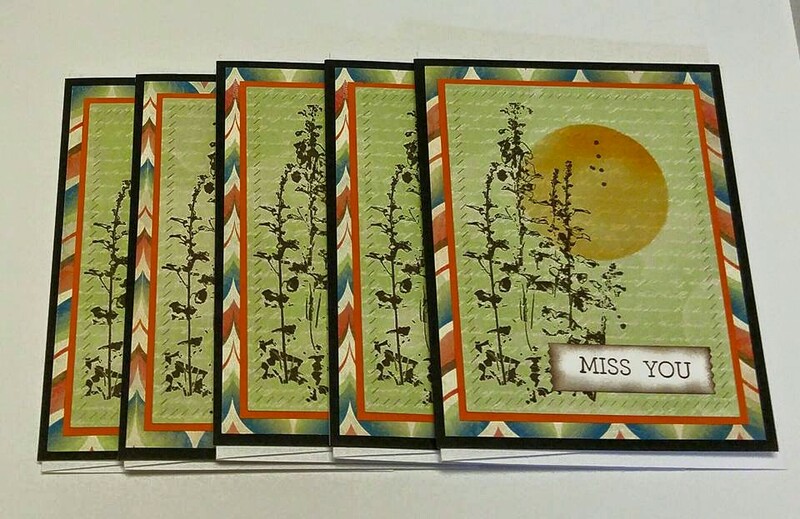 I made seven of them but will send only five as per requested. 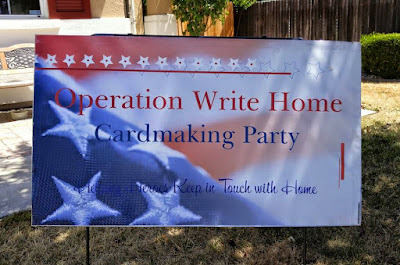 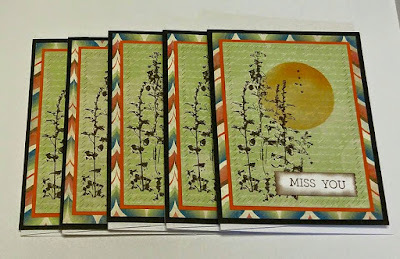 The card bases are from Selene a while ago. 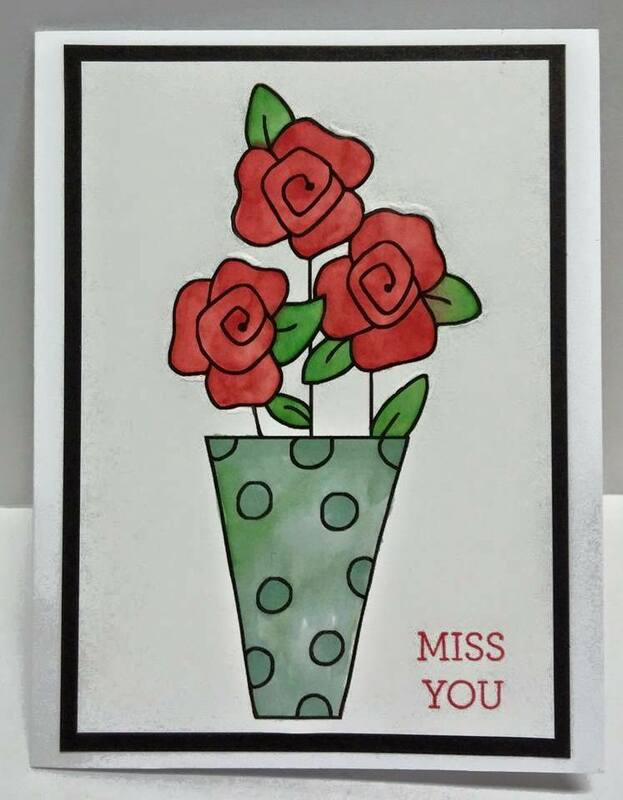 She may remember. 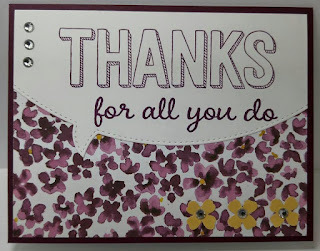 I embossed partially only 2/3 of the top part so that I could stamp the sentiment at the bottom part. 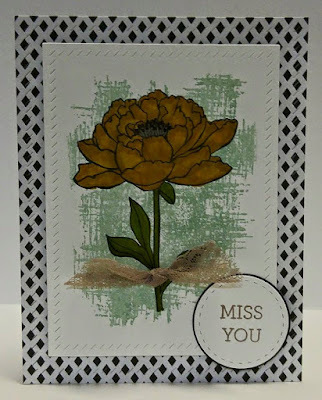 The sentiment stamp was one big stamp in two lines but I cut into two pieces and stamped in one line.I punched out flower petals from three dfferent punches. 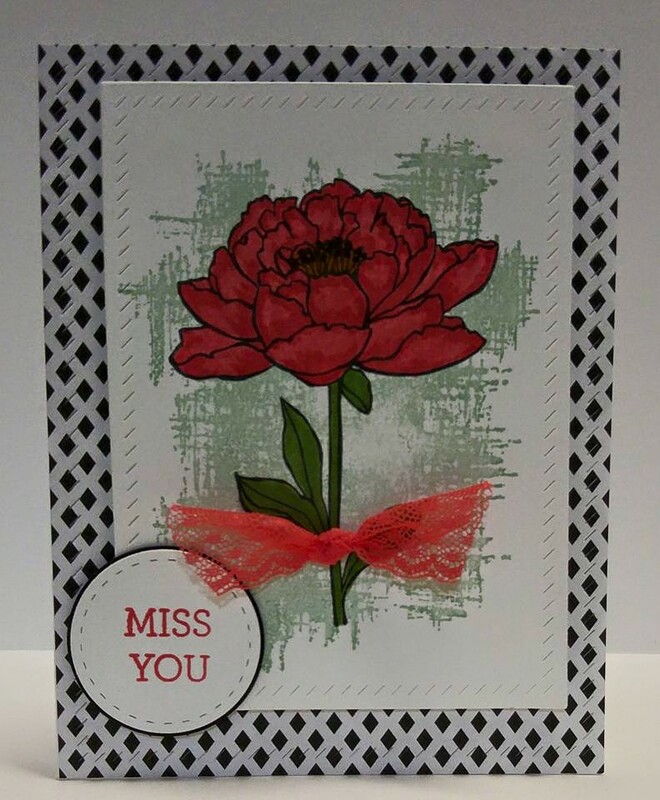 I sponged the edges by using real red ink. 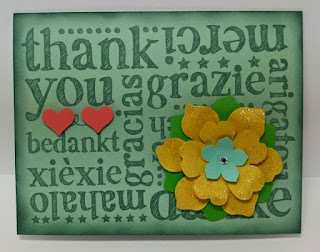 I like this new embossing folder very much. 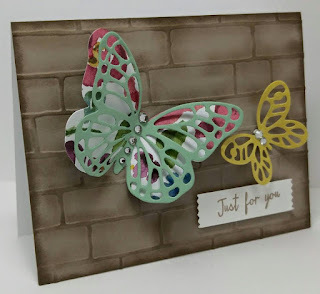 Simply create a background with brick wall by sponging to give some depth. To me this wall looks like to show something and try to tell a story. 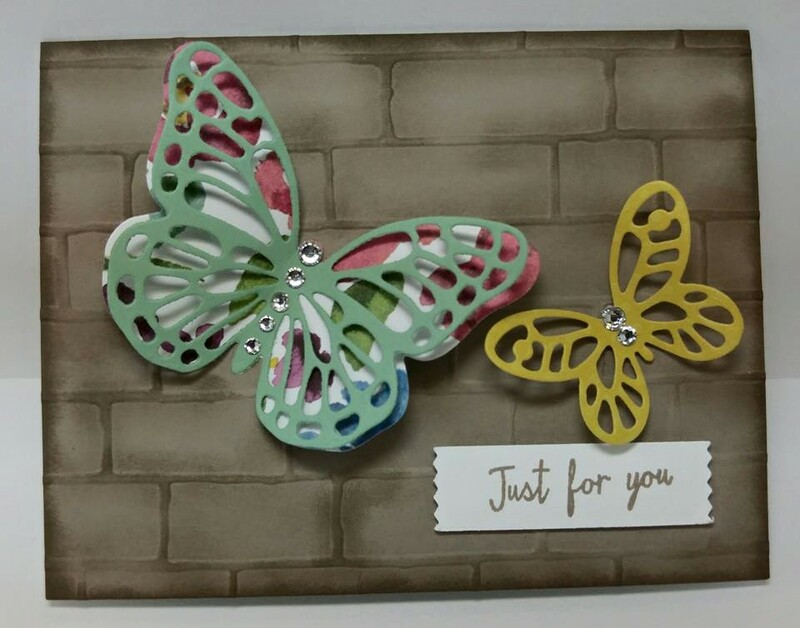 I added butterflies by using new matching butterfly dies set. 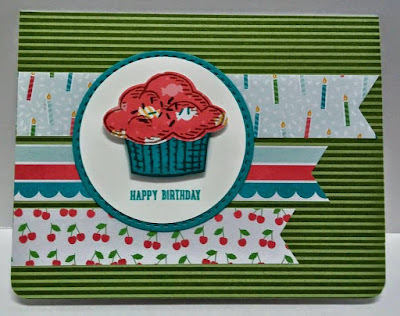 Sentiment is punched out by new wash tape punch. 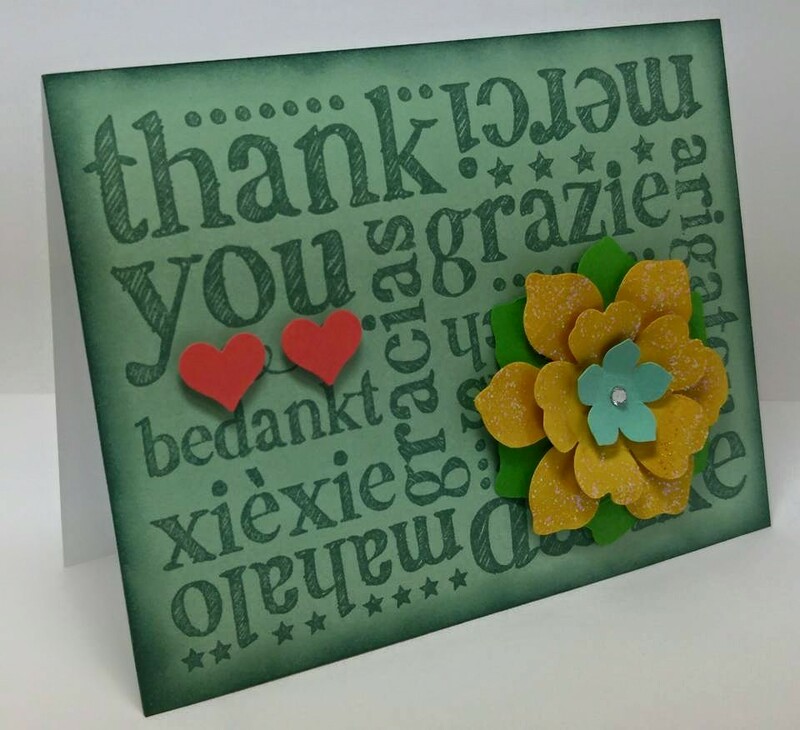 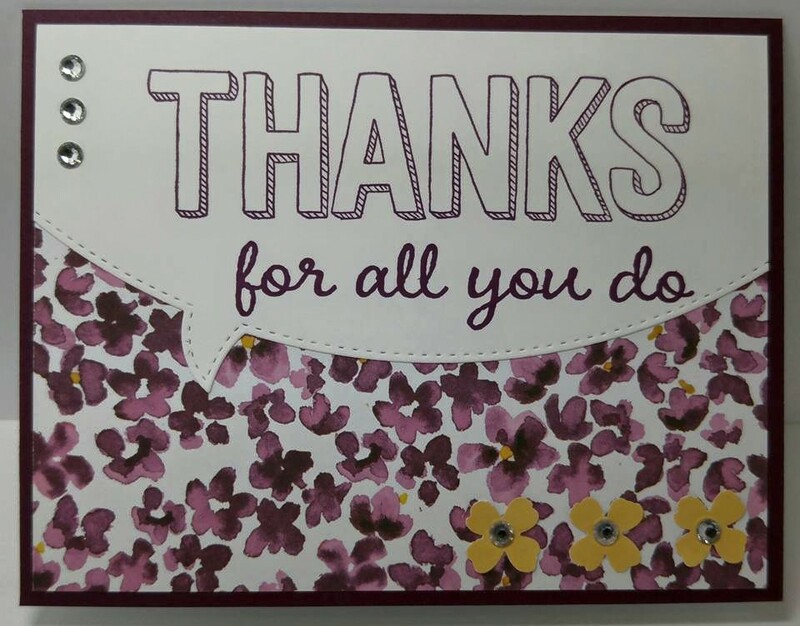 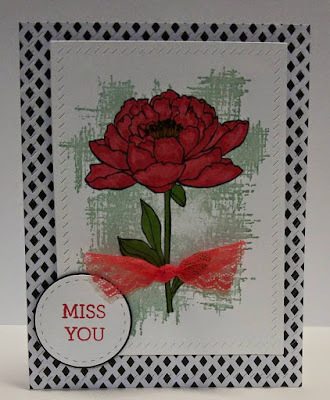 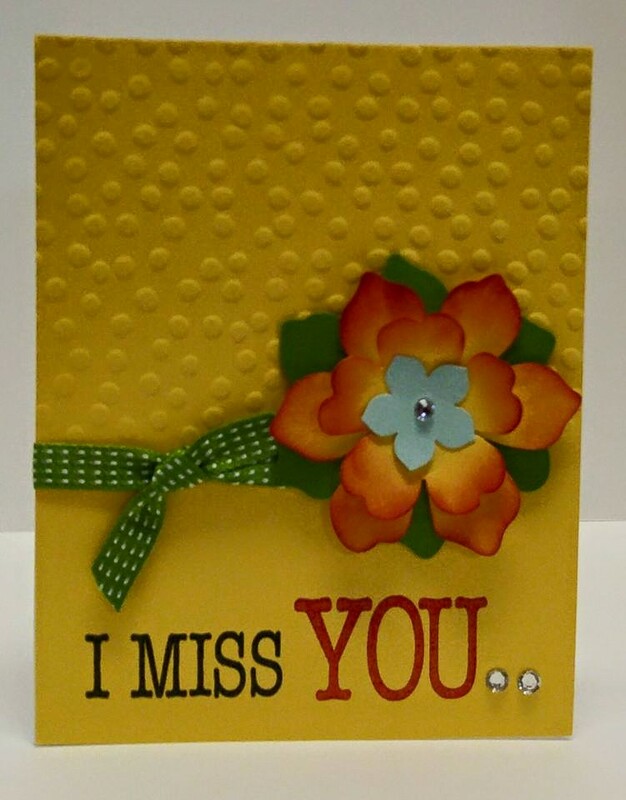 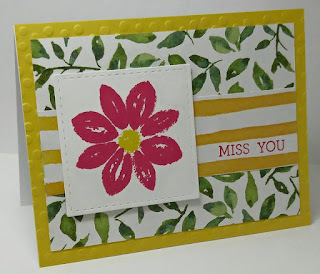 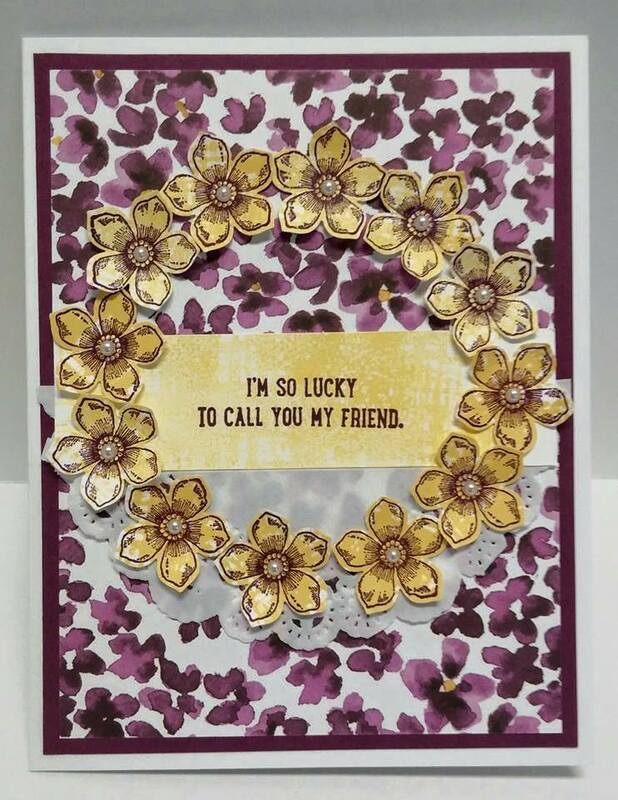 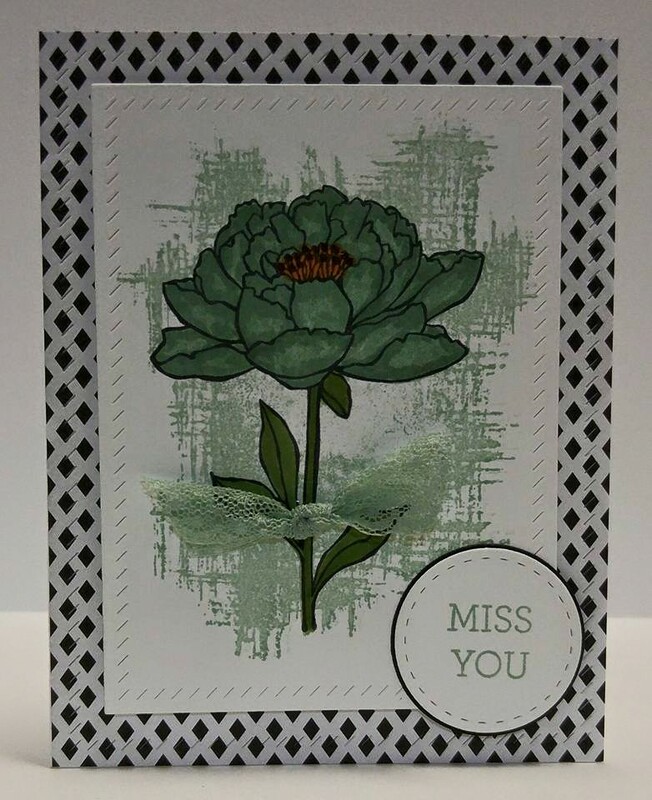 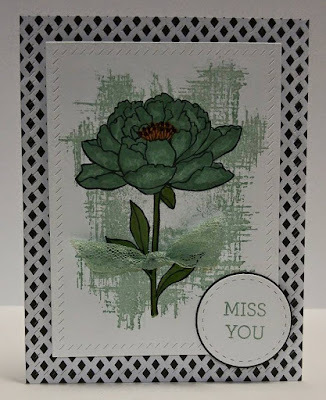 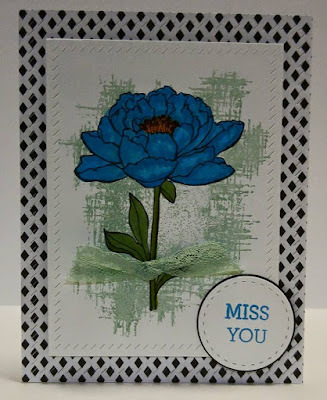 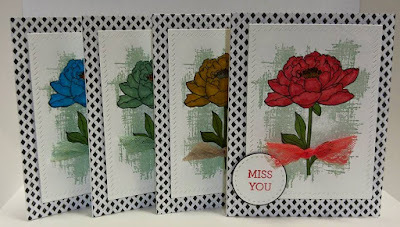 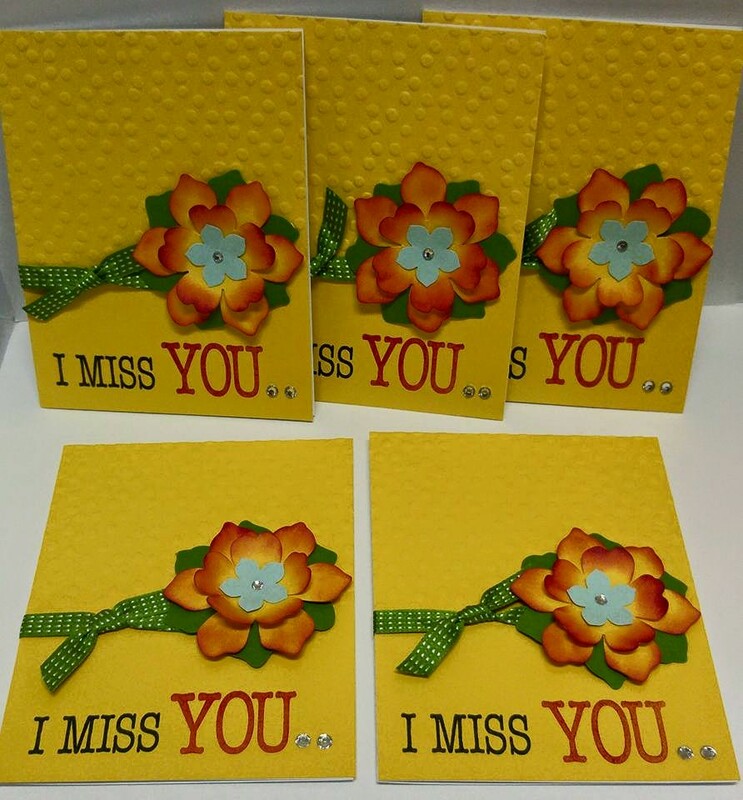 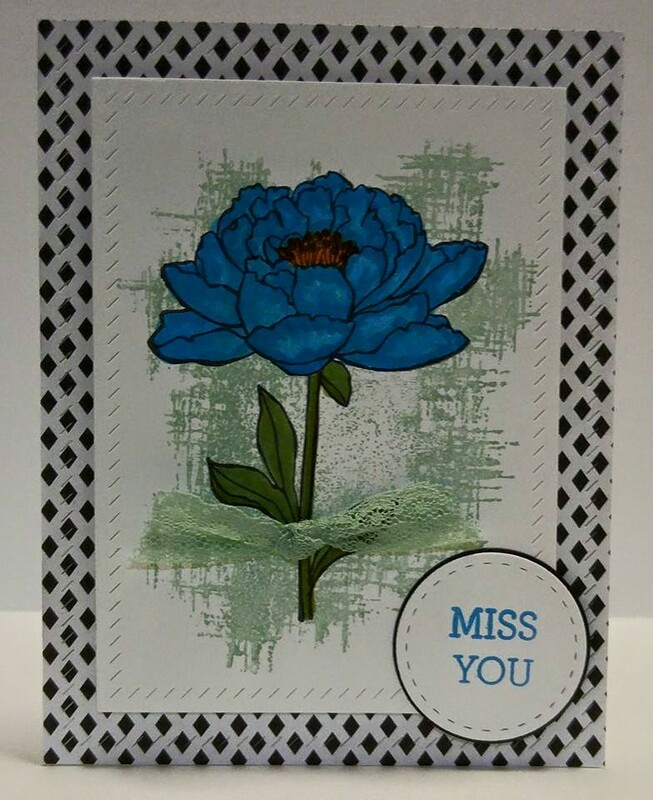 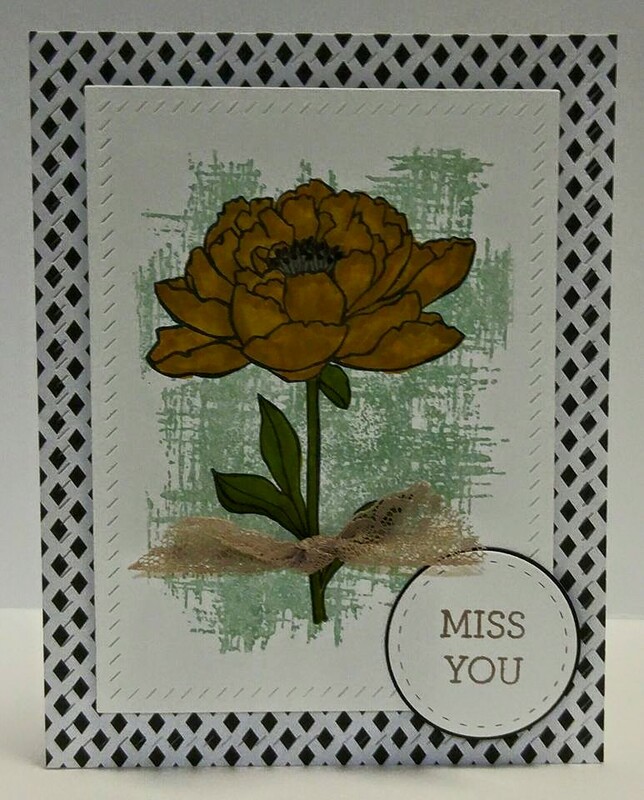 This is a background stamp and I used it as a whole card front by adding a flower and two little hearts. Flower petals are shaped by my fingers and mod podged. 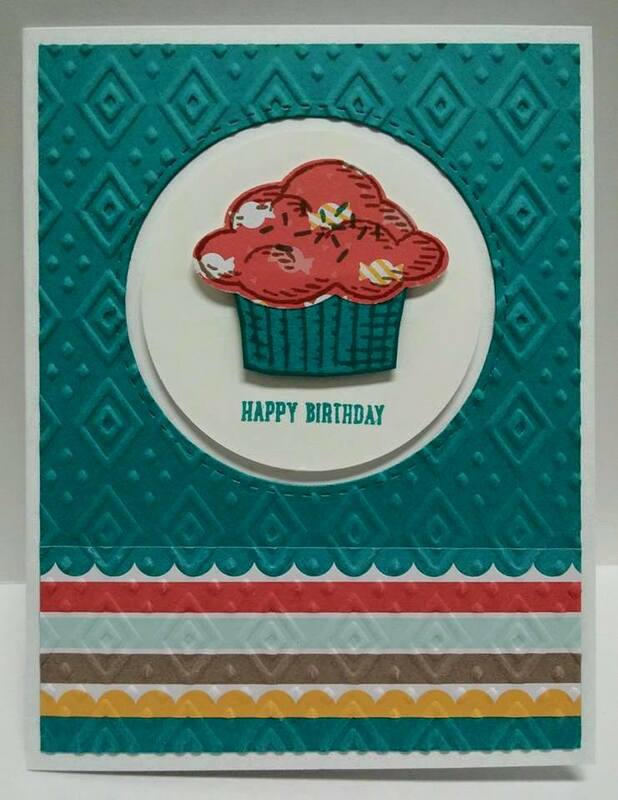 Sponged the edges to complete look. 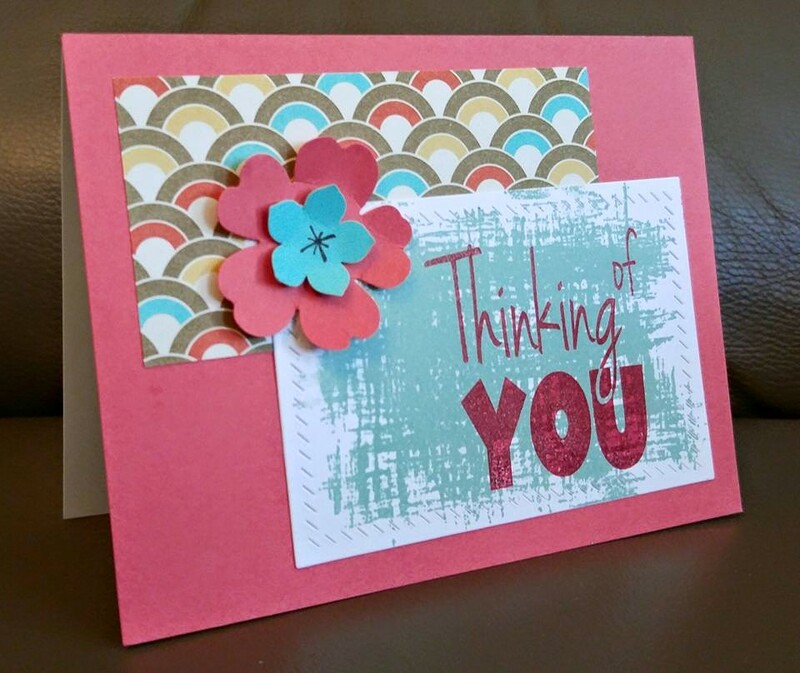 These are very calming colors. 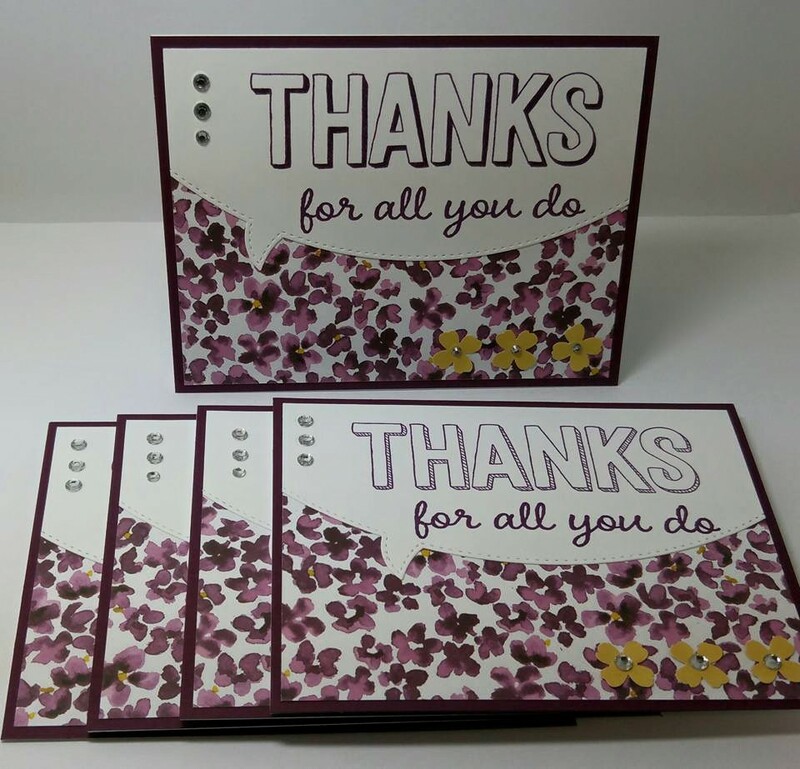 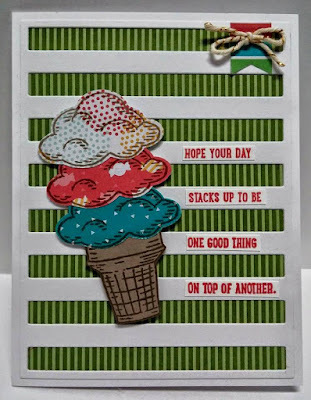 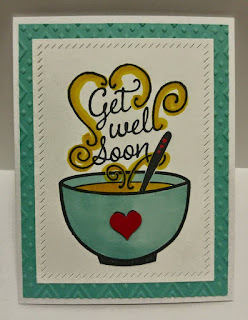 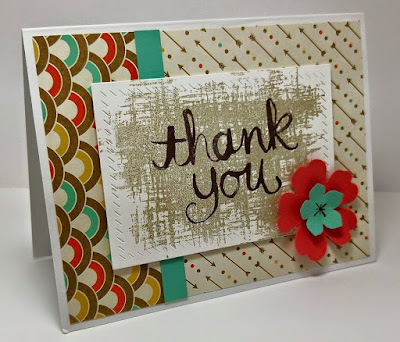 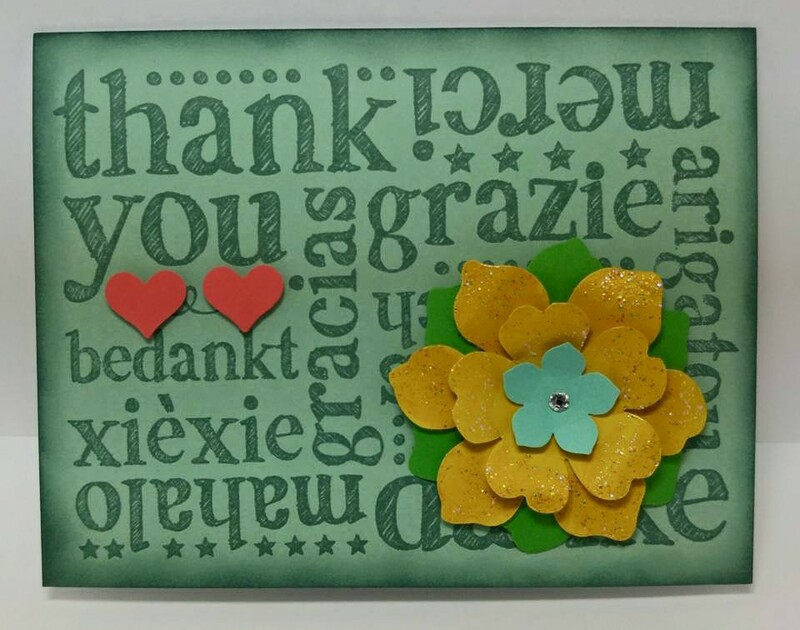 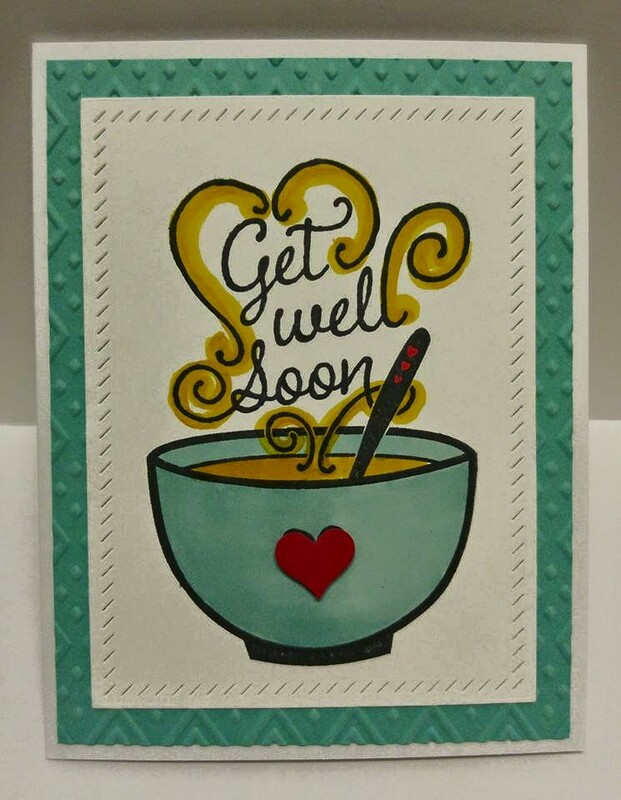 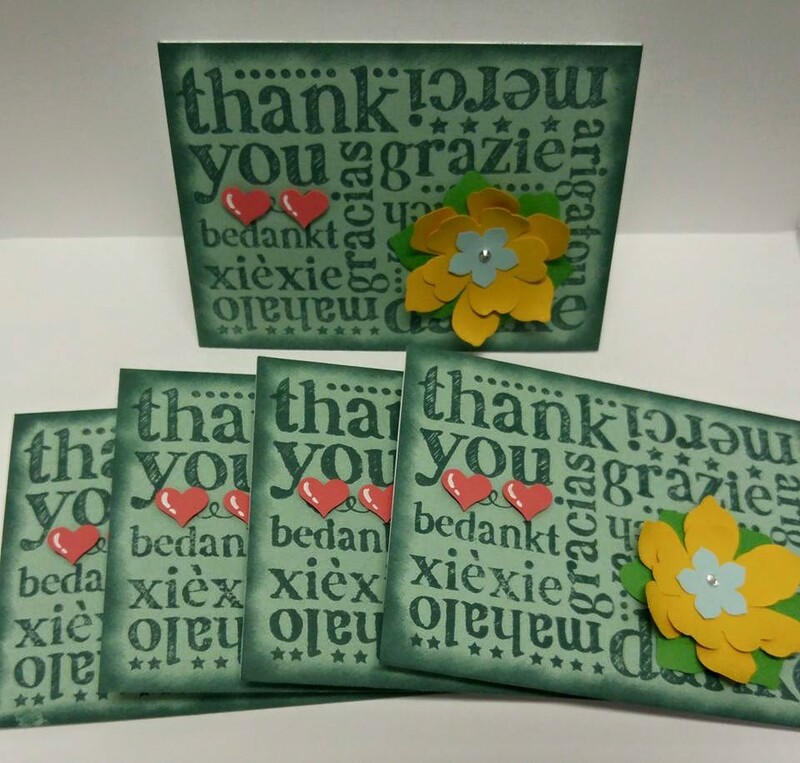 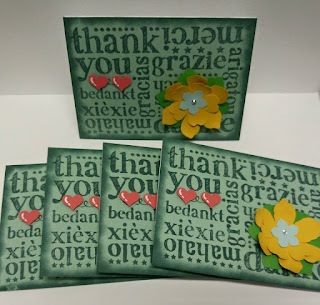 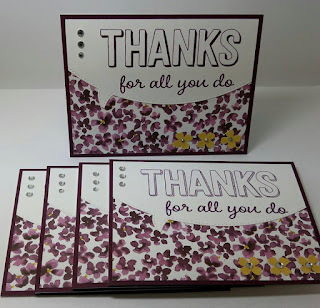 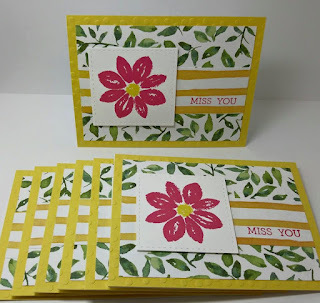 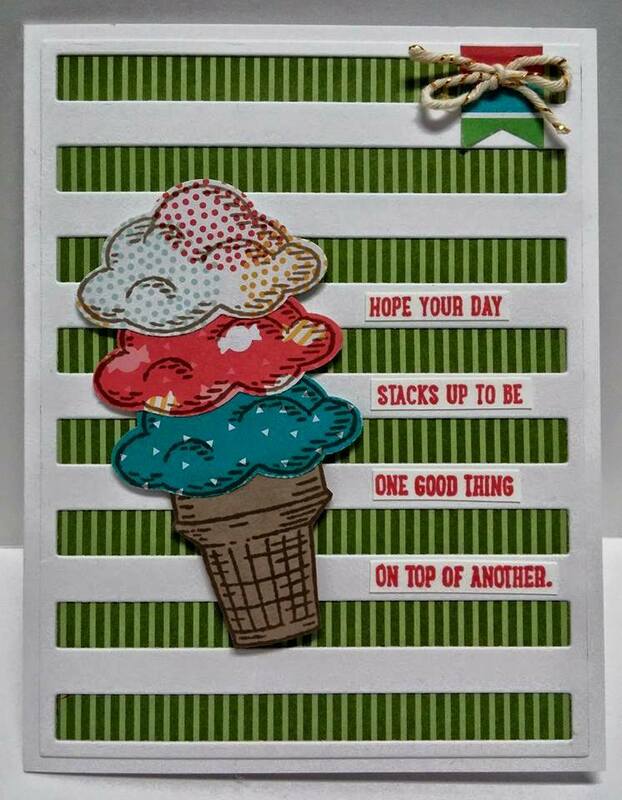 I like new In-Colors from Stampin' Up! 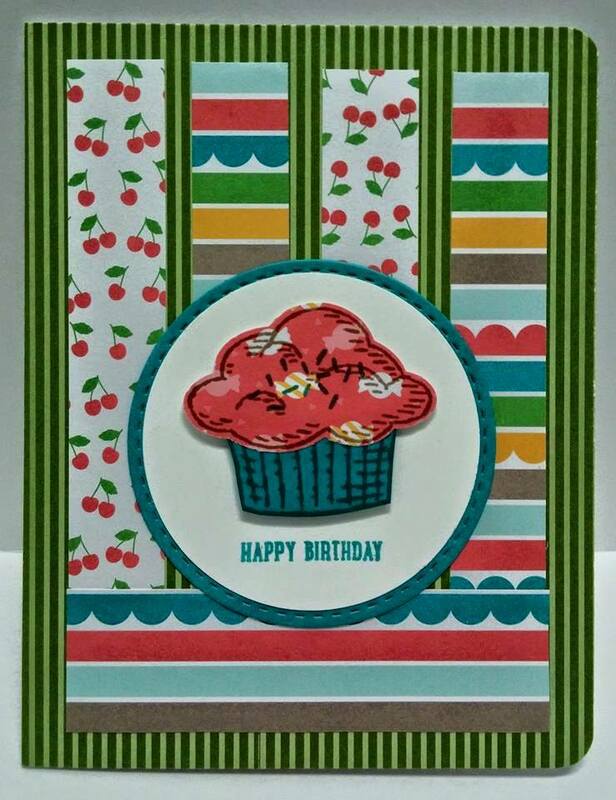 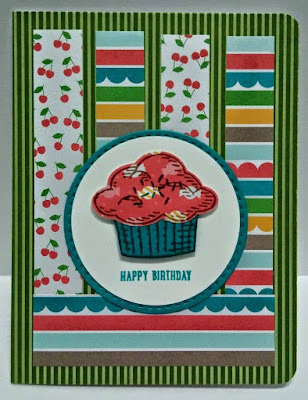 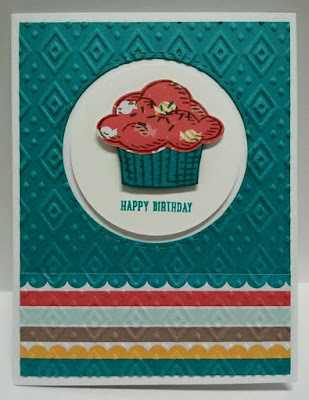 More cupcake cards from the Sprinkles of Life stamp set. 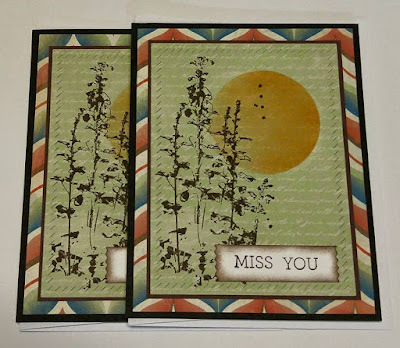 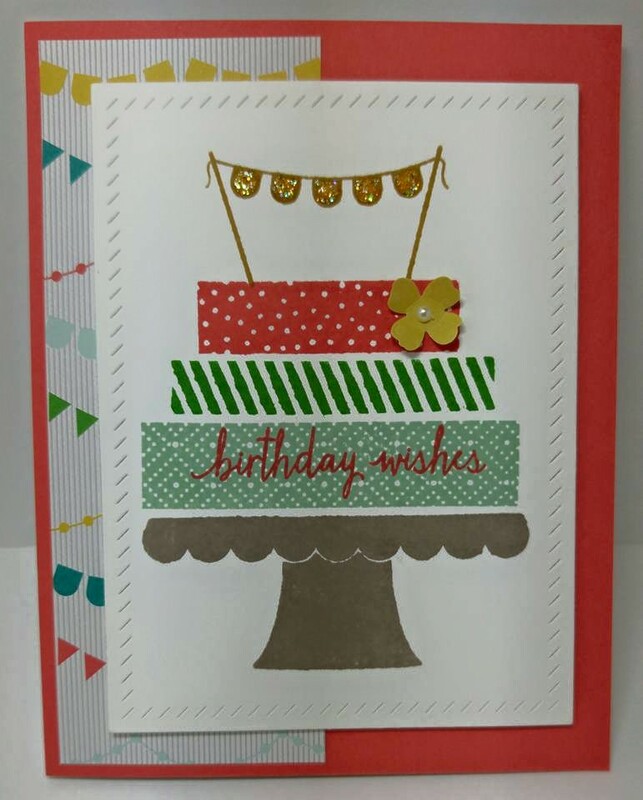 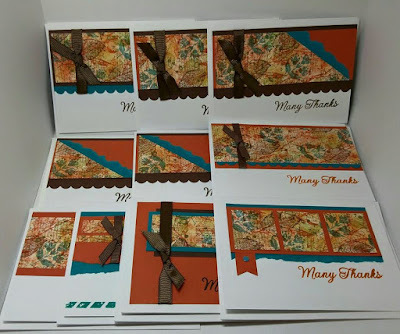 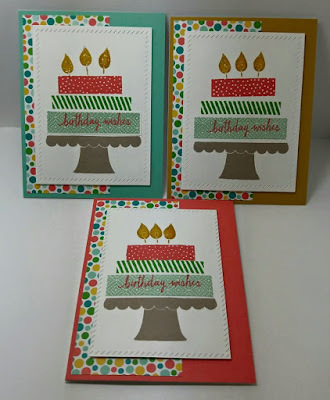 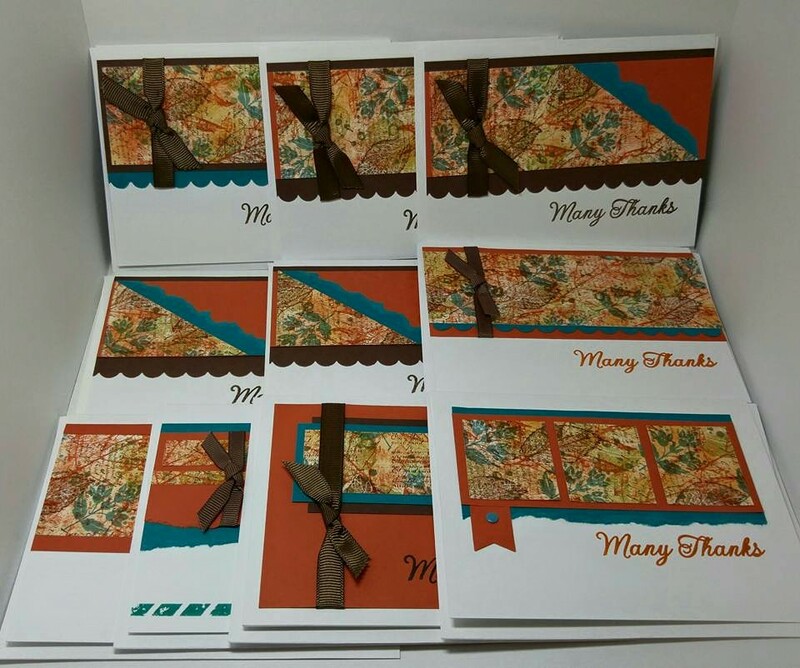 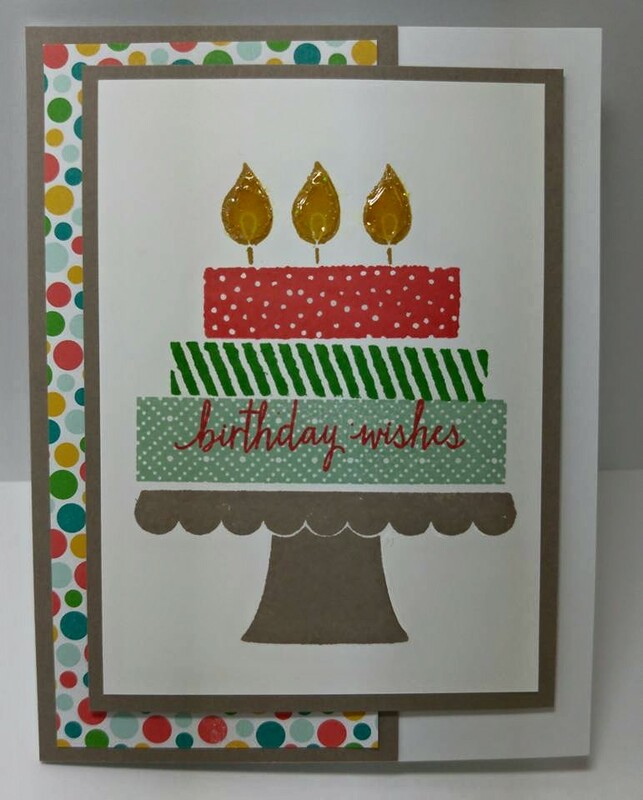 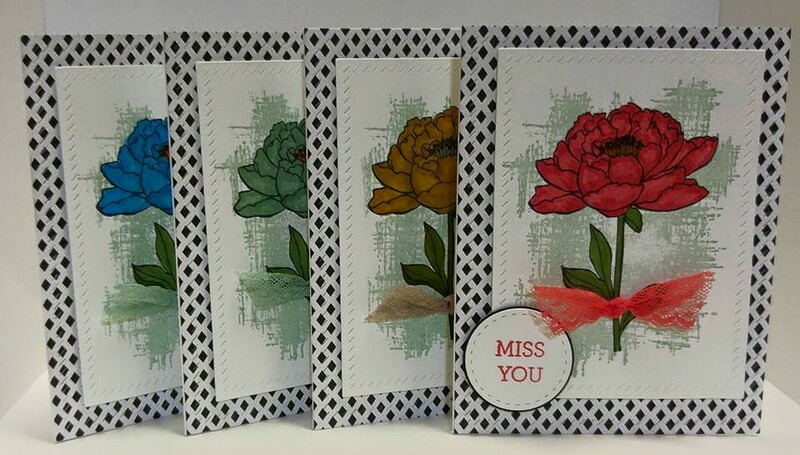 I used up left over scraps of Cherry on the Top designer series paper stack that turned out nicely on these cards. I think.